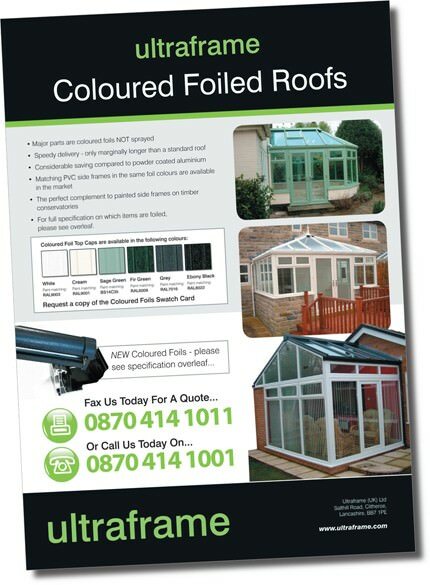 A range of marketing support materials has been launched to support installation companies with selling the new coloured foil conservatory roofs from Ultraframe. A sales leaflet outlining key features and benefits, a swatch card and a glazing bar swatch stick showing the colours and texture of the foils are all available to order now; to assist Ultraframe users with promoting the new product to homeowners. Under development is a high quality retail brochure that will further help quality retailers to develop new leads. 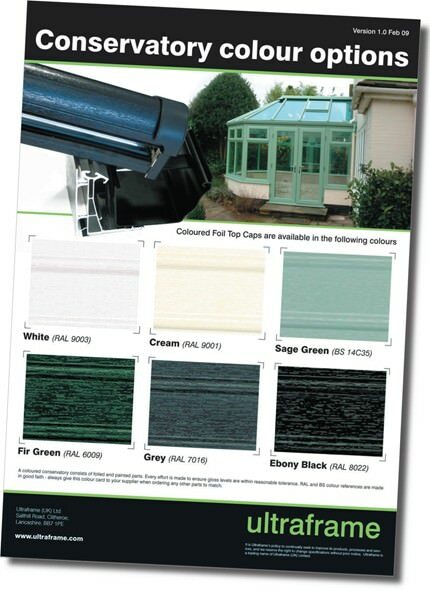 Cream, Sage Green, Fir Green, Grey and Ebony Black roofs can now be ordered direct from Ultraframe along with white foiled roofs. Many major parts of the Classic roof are foiled, providing a perfect match to the coloured foiled PVC frames increasingly produced by major window manufacturers.